Southeast Asia is home to some of the world’s most important emerging economies. 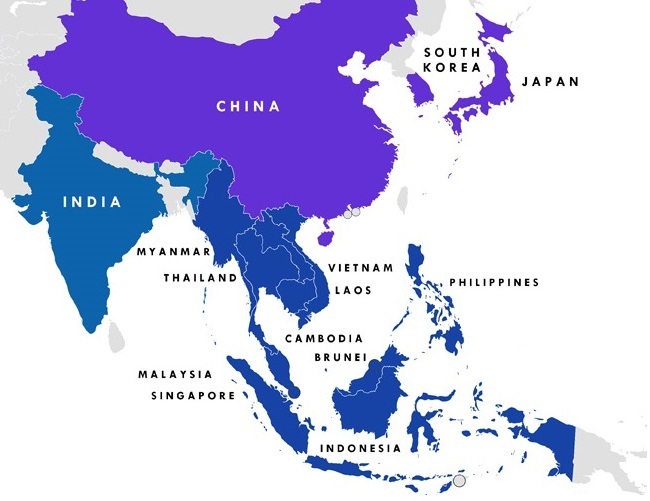 With the formal establishment of the ASEAN Economic Community on 31 December 2015, the ten member states of the Association of Southeast Asian Nations are moving toward greater economic and community integration on a number of fronts. Those ten countries – Indonesia, Malaysia, the Philippines, Singapore, Thailand, Brunei, Burma (Myanmar), Cambodia, Laos, and Vietnam – have a total population of more than 600 million people. Their combined economies would currently rank as the seventh-largest economy in the world, an economic footprint that is projected to grow to become the fourth-largest in the world by 2050. Education is a key arena for increasing collaboration across ASEAN, and there are significant efforts afoot now to harmonise curricula and qualifications and to expand intra-regional mobility initiatives. For example, the ASEAN Qualifications Reference Framework (AQRF) Committee held its first meeting in Jakarta earlier this year and work is now underway on formalising and implementing the framework in collaboration with participating ASEAN members. The AQRF is designed to support expanded student and labour mobility within the region. It is accompanied by a number of related initiatives, including the ongoing development of the ASEAN Credit Transfer System (ACTS). Both efforts are meant to address a widely recognised challenge with respect to intra-regional mobility today: it is still too difficult for students to move from institution to institution within Southeast Asia and to bring credits earned abroad back to their home institutions. Mobility within the region was also in focus at The First ASEAN Student Mobility Forum, held 14–15 June 2017 in Manila. The Forum hosted 200 delegates from across ASEAN, and was an opportunity for students and educators to share their experiences of study abroad within the region (presentation decks, videos, and other programme details are now available online). The Forum was co-organised by the Support to Higher Education in the ASEAN Region (SHARE), an EU-funded organisation with a mandate to “strengthen regional cooperation, enhance the quality, competitiveness and internationalisation of ASEAN higher education institutions and students.” The EU is a long-standing supporter and funder of regional collaboration initiatives in Southeast Asia and, in a mobility context, the EU’s Erasmus+ programme is widely referenced as a model and for best practices in support of greater movement of students within the region. For the moment, the most prominent regional exchange initiative is the ASEAN International Mobility for Students (AIMS) programme. AIMS links the government ministries of six participating ASEAN members – Malaysia, Indonesia, Thailand, Vietnam, Brunei, and Philippines – along with South Korea and Japan. The programme extends to 68 universities in those countries and encompasses ten fields of study. Through AIMS, students can participate in one-semester exchanges abroad with a participating institution. As the following chart illustrates, the programme is still modest in scale, with somewhere around 1,000 regionally mobile students each year. However, the numbers also reflect that AIMS is expanding quickly over the last two years. Programme administrators intend to expand AIMS to all ASEAN countries, and, particularly as credit transfer and qualification frameworks continue to strengthen, we can expect continued strong growth in intra-regional mobility going forward. As we noted earlier, if ASEAN were a single country it would safely be counted among the world’s largest economies. Its combined (and youthful!) population of 600 million is larger than that of the European Union or North America, and surpassed only by China and India. Similarly, real GDP growth over much of the last 15 years has been clipping along at more than 5% per year. Of all world economies, only China and India grew faster during this period. “ASEAN has dramatically outpaced the rest of the world on growth in GDP per capita since the late 1970s. Income growth has remained strong since 2000, with average annual real gains of more than 5%. Some member nations have grown at a torrid pace: Vietnam, for example, took just 11 years (from 1995 to 2006) to double its per capita GDP from US$1,300 to US$2,600. Extreme poverty is rapidly receding. In 2000, 14% of the region’s population was below the international poverty line of US$1.25 a day (calculated in purchasing-power-parity terms), but by 2013, that share had fallen to just 3%. From a recruitment point of view, these are all powerful indicators of a regional bloc with considerable potential for outbound mobility. Indeed, skills development and access to advanced education will increasingly be a key determinant of continued economic growth and social development in the decades ahead. There are, however, considerable variations in market conditions across the region. Indonesia, for example, accounts for about 40% of total economic output among member states and is a G20 member. And Singapore’s highly developed economy is home to some of the top-ranked universities in the world. Myanmar, meanwhile, is really just emerging from a long period of political and economic isolation and so we can still observe significant gaps in educational attainment and income from country to country within the region. Even so, the ASEAN states are an increasingly integrated global market that includes some of the key emerging markets in the world for outbound mobility, notably Vietnam and Indonesia. There will be considerable momentum in the next decade and more to mobility within the region, and also towards study in neighbouring countries that have also stepped up their own recruitment activity of late, such as China and Japan. But as income levels continue to rise, the region’s very large college-aged populations also represent a significant opportunity for recruiters from further afield – one that also offers the added efficiency of recruiting in a series of diverse markets in close proximity to one another. This entry was posted in Asia, Higher Education, Indonesia, Malaysia, Philippines, Regions, Singapore, Thailand, Vietnam and tagged universities with international students, postgraduate student recruitment, international student mobility, student enrolment, study abroad.